Handimals entry is included with Zoo admission. Internationally acclaimed artist, Guido Daniele, will be traveling from Italy to Miami to be featured at Zoo Miamis Party for the Planet event on the weekend of April 27 and 28! 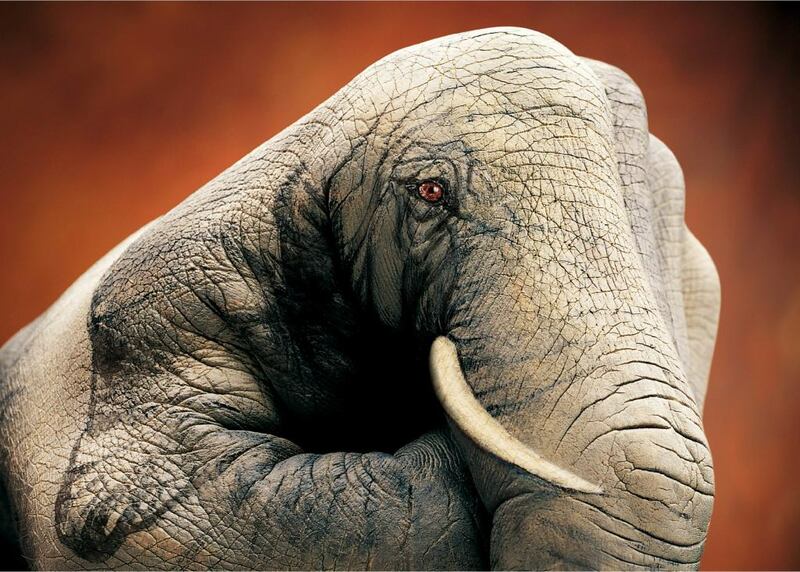 Guido is the creator of Giving a Hand to Wildlife- the Handimals Art of Guido Daniele, a stunning portrayal of wildlife that he paints using the human hand as his canvas. His artwork has been featured and admired around the world and has gone viral on a variety of social media platforms. For the first time in any zoo in the Western Hemisphere, a beautiful exhibit of his artwork will be on display and he will be creating additional Handimals live at Zoo Miami!! He will be painting a zebra, elephant, flamingo, cheetah, and crocodile using the hands of specially selected models over the two day period in front of zoo guests during normal operating hours in the zoo entry plaza. The painting will begin at 11:00am each day. Each painting takes between one and two hours using hypoallergenic non-toxic paint that washes away easily with soap and water. In addition to doing the live painting demonstrations, Guido will be signing the new book that is being unveiled and launched fresh from the publisher, Christy Ottaviano Books/Macmillan in New York, for the first time that weekend! The book, titled, Handimals  Animals in Art and Nature is authored by Silvia Lopez and is a beautiful collection of Guidos paintings accompanied by wonderful facts about the animals depicted. Zoo Miami will be selling the books straight off the presses and Silvia and Guido will be signing them throughout the weekend! There will be several large reproductions of Guidos Handimals that will be on display at Zoo Miami for three months following the Party for the Planet weekend that guests will be able to photograph themselves next to as a unique memory of their visit.